EXPERIENCE THE VERY BEST OF MoMA AS A MEMBER! JOIN TODAY! 10% discount in The Bar Room at The Modern from 3-5 p.m.
Sign In to your existing account, or create a new account, and link your membership number by clicking on your Account Membership tab and entering your membership number in order to receive your member discount benefits. For future purchases, sign into your account to receive your member benefits. 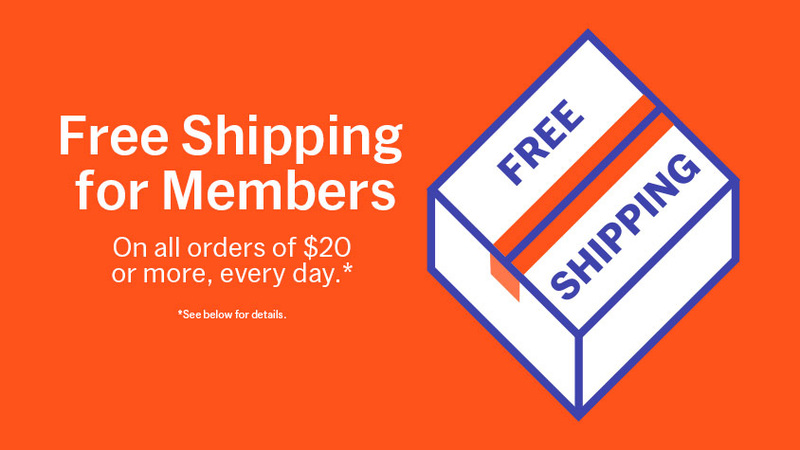 * Free flat-fee standard shipping every day for shipments to the contiguous U.S. for members at the Global category and above on purchases over $20. Additional delivery charges may apply for over-sized or special items. Excludes internatonal orders and additional shipping charges. Additional exclusions may apply.